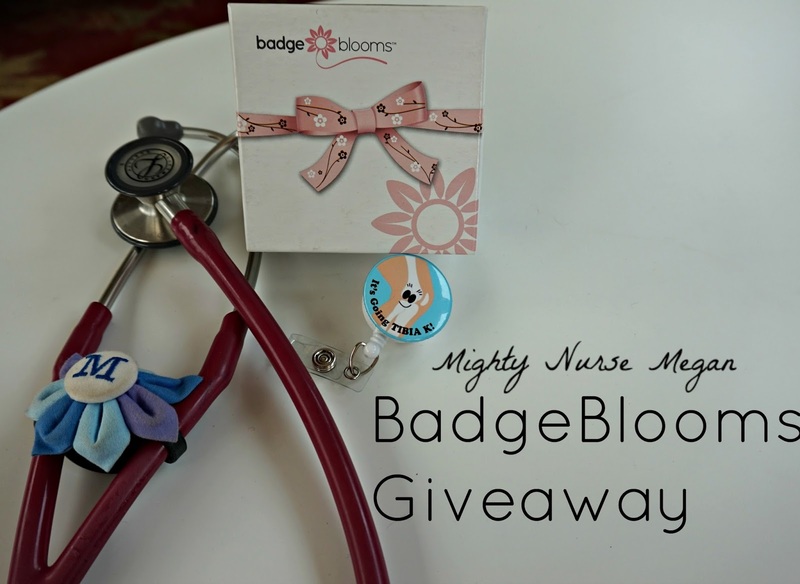 BadgeBlooms on Etsy + Giveaway !! I am really excited to be able to share with you all my favorite FAVORITE badge reel shop. The shop is called BadgeBlooms and you can find them on Etsy. As well as follow them on Instagram and Facebook. If you follow my Instagram posts, then you probably already have seen how cute these felties are. I tend to change them with my mood and the holidays. Not only are they fashionable, but they are durable. I still have badge reels that work perfectly even after 3 years. My collection is always continuing to grow thatI am now looking for a creative solution to store them all! Melissa contacted me to inform me that she was starting a new line of Medical Humor BadgeBlooms. Not only was she willing to send me one to try out, but she was also gracious enough to offer one up for me to giveaway!! Stay tuned for the details. The two badge reels Melissa sent me are wonderful! My patient's loved the cute medical humor on the one and it really helped brighten some individuals days. 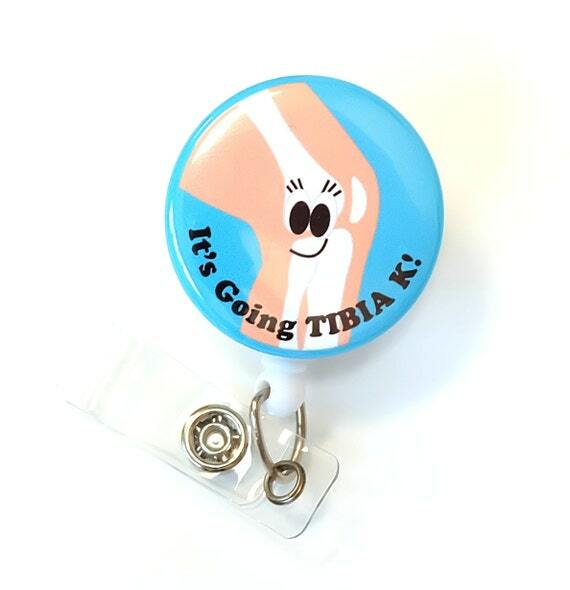 The motto "It's going TIBIA K" is brilliant to keep in mind as I finish my nursing school journey this May. The flower badge holder is such a classic beauty that I can easily switch to when I have to attend a more professional meeting or event. Like all my other reels from here, they all are made with excellent craftsmanship. Megan: How did you start/ decide to start making badge reels? Melissa: The plain badge reel I purchased when starting my career broke within a couple of months. Instead of buying another, I thought it would be fun to make my own decorated badge holders using higher quality materials. I started with a few designs, and colleagues quickly noticed. Soon, I began making them for all my coworkers. I arrived at the name BadgeBlooms, because my initial inspiration came from our previous trips to Maui and the lush floral surroundings. Just as a flower transforms from a bud to an eye-catching bloom. BadgeBlooms have transformed the old boring badge reels. I was familiar with Etsy, and thought I'd offer my creations online. In less than 12hrs, I sold my first piece. Shortly before I became pregnant with my daughter, the business was growing so much that I was able to see my dream of being a SAHWM (Stay At Home Working Mom) come to fruition. Now, we're selling thousands per month and I get to witness and cherish all of my daughter's firsts. Megan: Tell me a little about yourself. Melissa: Since graduating nursing school, I've been a mother/baby nurse and miss it a lot. I have plans to return when my daughter starts pre-school, but for now, I'm enjoying watching her grow and learn. She even helps momma "work". 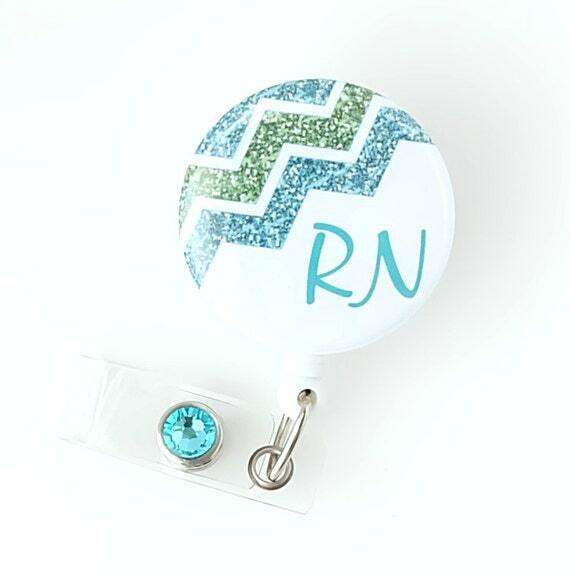 Megan: Are you looking to branch out and make other nursing accessories? 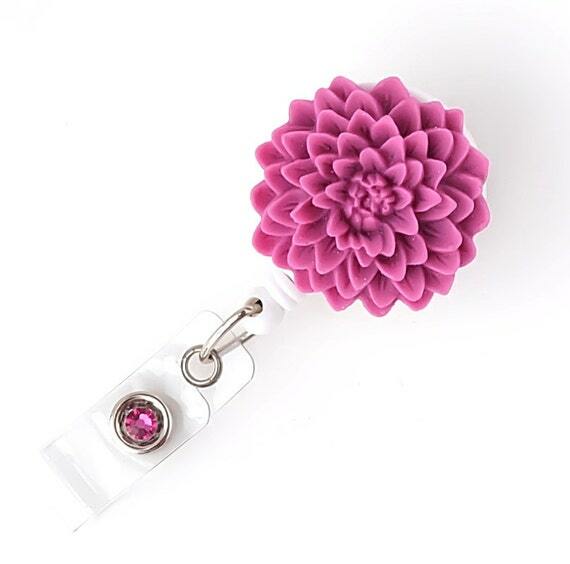 Melissa: BadgeBlooms is always one step ahead of the trends and we frequently create new and original products. We do have exciting plans for different medical themed items coming in the near future. Megan: Where do you find your inspiration? Melissa: Other ways I find inspiration is from listening to customers. They have fantastic ideas and have lead to many of our most popular designs. Currently, I am having a lot of fun with our original medical characters and cheesy humor phrases. Megan: What are some of your favorite BadgeBlooms? Melissa: Because of my experience in OB nursing I always love the maternal/child items and choosing just one favorite BadgeBloom is hard, but at the moment I'm digging these two. 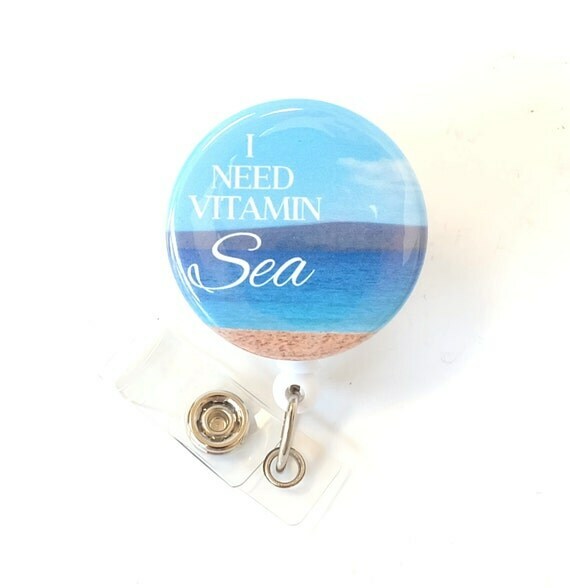 The Aqua Glitter Chevron which is a timeless and classy design and, I NEED Vitamin Sea which is made from one of our own vacation photos in Maui. Megan: What has been surprising about this process thus far? Melissa: I'm still surprised/shocked at the success BadgeBlooms has achieved. I honestly could not have made it what it has become without the endless help of many friends and family members. Megan: What is your favorite part? Melissa: MY favorite part of the BadgeBlooms business aside from it affording me the opportunity to be with my daughter, is having so much fun thinking of and creating new products. I want to thank Melissa again for taking the time to partner with me!! So here is how you can win one of your own BadgeBlooms. We will be giving away one designer ID badge reel of your choice. The winner will be contacted via email and will have 48 hours to acknowledge. There are different ways to enter so lots of chances! The giveaway ends April 8th. How cool! Thanks for sharing! I have a small collection of badgeblooms badges and I love them!!! How do you choose?! They are all so cute! I love the bling badges! I adore all of the medical humor ones - don't be tachy is probably my favorite! Thanks for sharing this! I love their badge holders! I love the pineapple! The selection is awesome though. It's hard to pick a favorite!